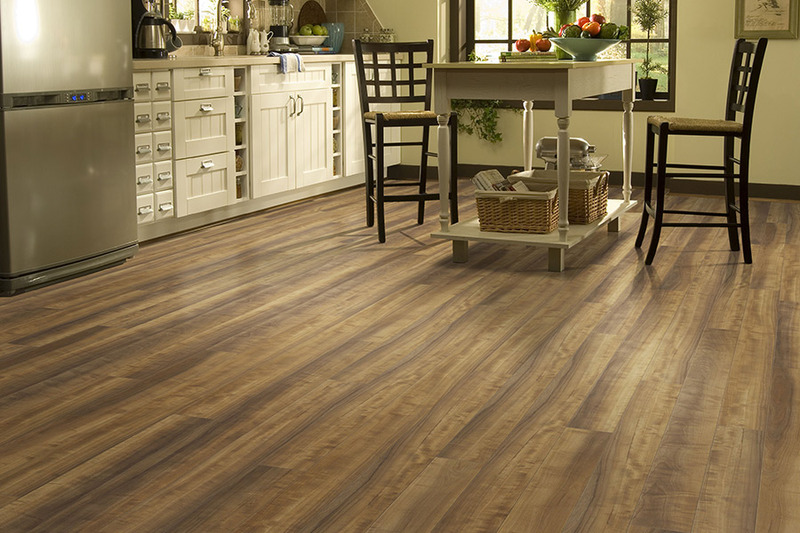 Laminate Flooring in Fort Myers, FL from Klare's Carpet INC.
Is Laminate Right for Your Home? 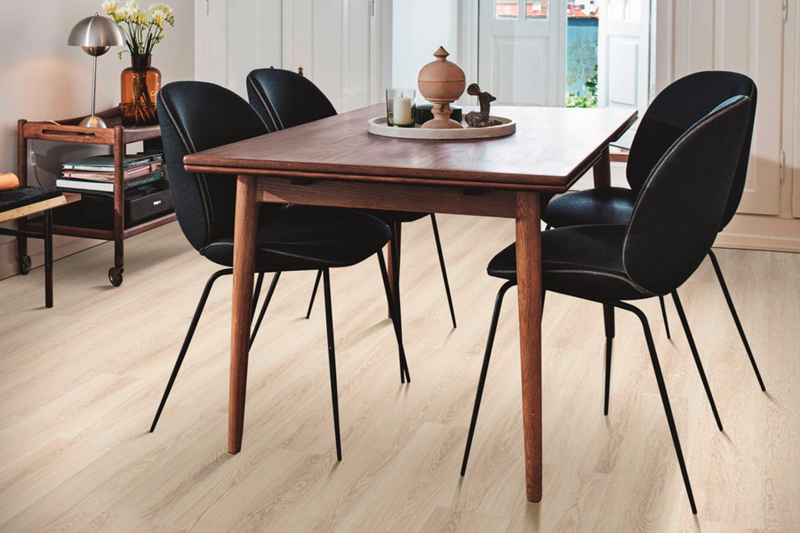 For years now, laminate flooring has been a very popular choice in today’s flooring market, even amidst ever-changing trends and options. It’s an option that is as affordable as it is durable, and manages to mimic the wood-look better now than it ever has in times past. In fact, with new technology, these floors will be hard to differentiate from the real thing. But we’ll let your own eyes be the judge of that. Klare’s Carpet Inc. has a showroom located in Fort Myers, FL, from where we service the areas of Fort Myers, Fort Myers Beach and Sanibel Island. Family owned and operated for more than thirty-five years, our outstanding reputation has earned us new customers as well as repeat business, from those who’ve already experienced our dedication to customer service. 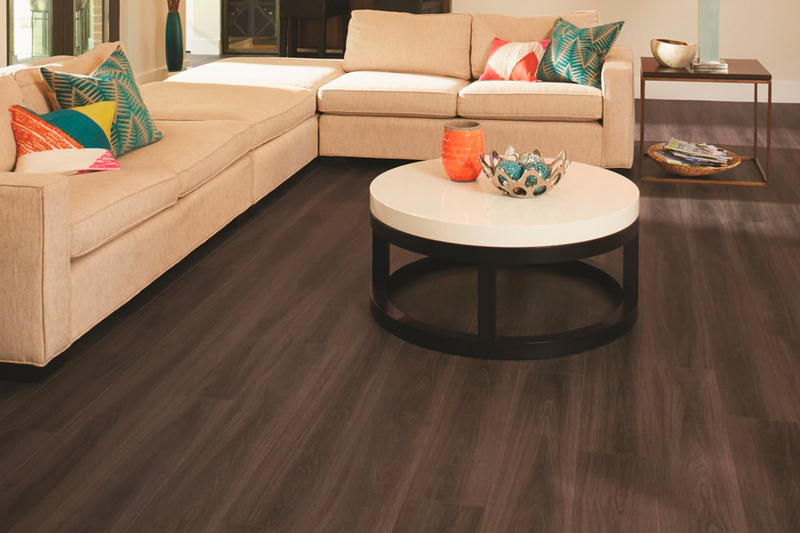 We invite you to stop by and experience it for yourself, as we help you get closer to the floor covering of your dreams. 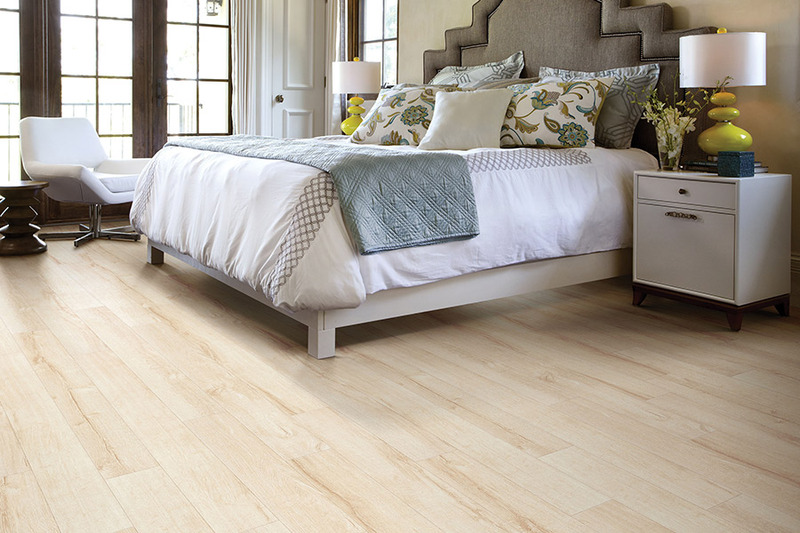 Just about everyone knows that laminate is one of the go-to choices for the real look of natural solid wood flooring. But there’s so much more to this product than meets the eye. For instance, there are four basic layers that make up the overall composition of this material: The backing, the core, the pattern layer, and the top protective wear layer. Each one has a very specific job to do and comes together perfectly for a wonderful floor covering for your home. 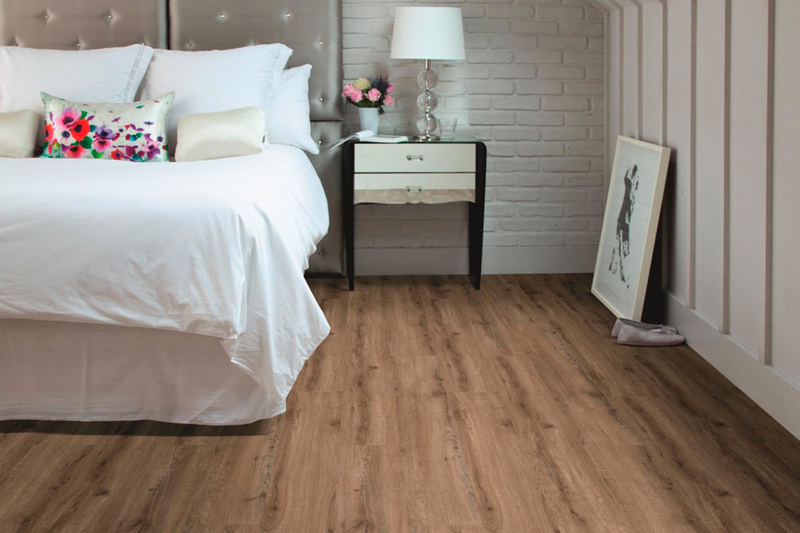 You can take full advantage of the extent of laminate’s life span, by making sure it is properly cared for and maintained. Make sure water is never allowed to stand and seep into the plank gaps, to avoid swelling. Also, make sure you’ve chosen a quality brand if you’re planning on placing it in areas where traffic is high. Budget materials can fade and wear under these types of circumstances, and we know you don’t want that. Many homeowners in this day and age choose to do as much shopping as they can online. We don’t blame you, as the travel, research and number of shops to inquire with, can really take a toll on your nerves. 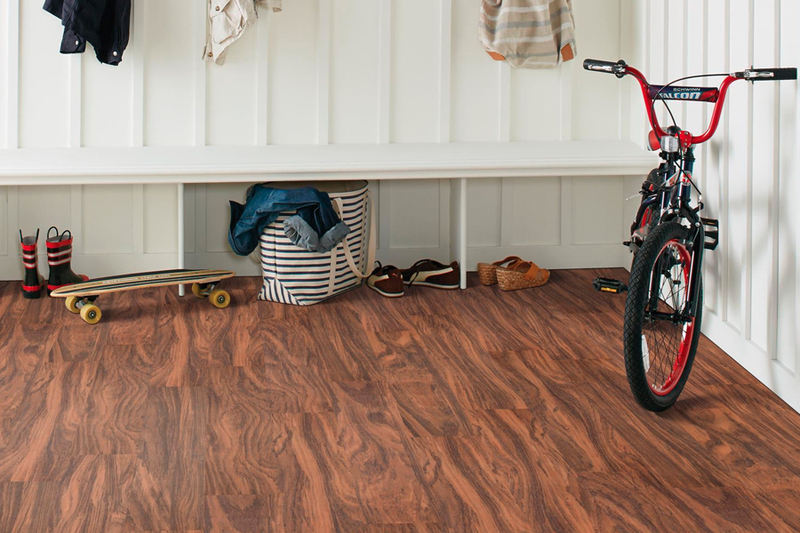 However, we think it’s a good idea to actually get out and see some of these flooring samples for yourself. It’s really the only way you can get a real life feel as to what this product is going to look like, and how it might react in certain situations.